Human Rights Watch sent a fascinating email on September 8, 2010 to the organization´s supporters. The title of the email read - "George Soros's Gift, and Challenge, to Human Rights Watch." 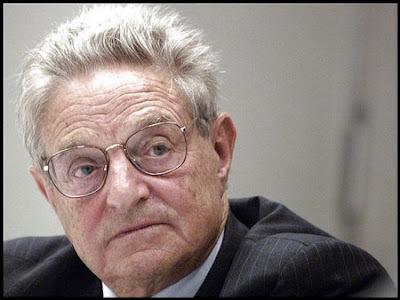 The email, signed by American Attorney and Executive Director of Human Rights Watch, Kenneth Roth, announced that George Soros will grant $100 million to Human Rights Watch. George Soros is a businessman (stock investor), philanthropist extraordinaire and proponent of liberal politics. He was born in Hungary in 1930 and emigrated to the U.S. in 1956. He has commendable track record of donating staggering sums of money to support causes or organisations that push for democracy, human rights and good governance. According to Human Rights Watch, the grant of $10 million a year over a period of 10 years will be used to "expand and deepen" the presence of the Human Rights Watch around the world, by staffing offices and funding research that uncover human rights violations. This grant highlights the value of human rights. Unspeakable human rights violations occur in many "forgotten parts of the world," and George Soros clearly understands the urgent need to document and report such violations, and pressure governments to hold perpetrators accountable. With such a hugh donation, Human Rights Watch would have more researchers on the ground to give voice to the voiceless. On a side note: Last month, Human Rights Watch urged Cameroon to decriminalize homosexuality. It is worth mentioning that the organization rarely reports violations in Cameroon, perhaps due to insufficient resources. Personally, I would like to see Human Rights Watch use part of this generous grant from George Soros to carry out more research in Cameroon - documenting and reporting otherwise unreported human rights violations in the West African country, especially as the country gears up for elections in 2011. As a "challenge," George Soros expects Human Rights Watch to raise another $100 million that would further facilitate the work of the organisation. "Invest in human rights" by making a donation and help Human Rights Watch meet the George Soros challenge.